Related to: Cabbage, Brussels sprouts, kohlrabi, cauliflower, radish, turnip, swede. Botanical classification: Brassica derives from the Celtic bresic, the name for cabbage. 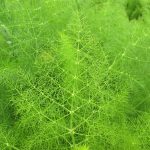 Oleracea means ‘as a herb’ – the wild cabbage. Acephala means ‘without a head’. Kale is one of the hardiest winter vegetables and one of the easiest to grow. It seems to be much less plagued by all the brassica pests and diseases. I just wish we could like it more. Some varieties of kale, such as Redbor F1 and Nero di Toscana, are so attractive looking that they would deserve a prime place in your flower garden. 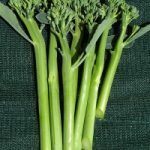 The kale is the most similar plant to the wild ancestor of so many cultivated brassicas – Brassica oleracea – which still grows wild on the western coasts of Europe. It was already grown in Roman times. Kale prefers a fertile, deep soil with high moisture retention. The soil should be free draining and kale will tolerate poorer soils than most brassicas. The ideal pH is 6.5-7.0. 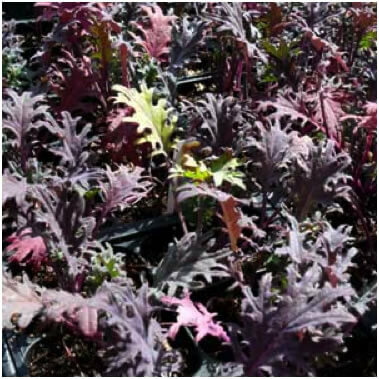 Kale can either be raised in a seed bed as bare root transplants or in modular trays. If raised in modular trays it is essential that they are planted out before they become pot bound. I find that modular grown plants establish much easier. I sow one seed per cell 2cm deep. Sow early varieties in mid April until early June. 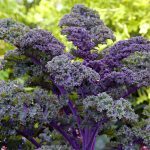 It is absolutely essential to keep kale in the brassica section of your rotation to prevent a build up of the numerous brassica pests and diseases. Apart from keeping the soil well hoed and weeded you should remove any discoloured lower leaves from the plant to improve the air-flow through the crop and thus minimise pests (aphids) and diseases (moulds). Kale is such a forgiving plant. You could neglect it for months and still get many dinners out of it. You should start harvesting the bottom leaves first. You can take a good few each time but you should always leave the top 8 leaves to grow on. Kale is the easiest and healthiest brassica you can grow. It will suffer from all the common brassica problems but generally to a much lesser extent. If you eat kale regularly three plants are sufficient, if you want them for the occasional meal 1 or 2 plants will do.